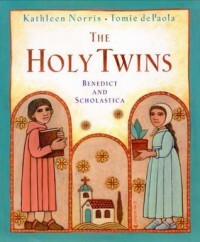 It's called The Holy Twins, but the book is much more about Benedict's life. I wanted more about Scholastica. The book contains interesting stories from Benedict's life. I wanted a little bit more about the order that he founded (amazing that it's still around today), but the stories presented in the book are interesting too.